Short but very sweet is the cherry season at Terhune, which has the largest cherry orchard in central New Jersey. Sweet cherries are great for eating fresh, while sour cherries are prized for their flavor in pies, jams and cakes. That season arrives mid-June and lasts about a week. 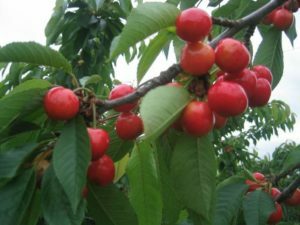 Gary’s orchard of sweet and sour cherry trees provides pickers with one of the few locally grown cherry crops. Call the Farm Store or check the farm website for updates on when cherries are available.